Here are some of our photographs of some mammals found on Stanpit Marsh. We add more photographs frequently, so please check back regularly. If you would like to share your Marsh photos send them in we'd love to see them . 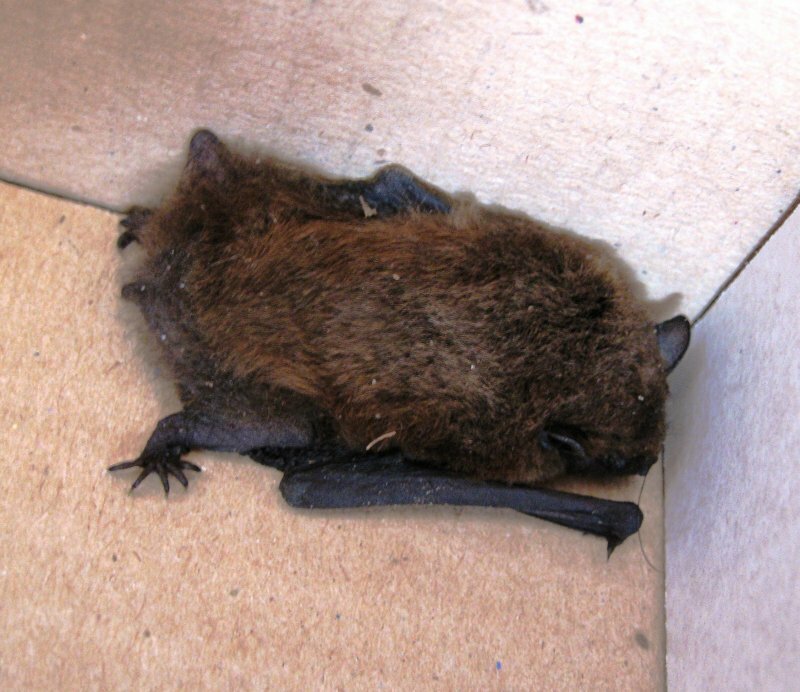 This is a Pipistrelle bat that was found concussed on the Visitor Centre veranda. It was thought it may have been hit by the rotating wind turbine. It was collected by the local Bat Trust, nursed back to health and returned to the marsh later in the year. 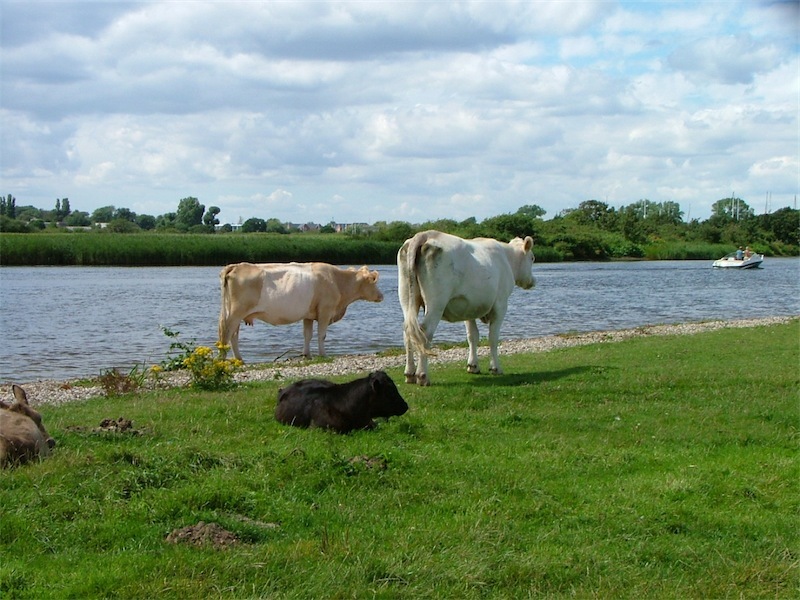 Cows are only on the Marsh during the summer and confined in recent years to Priory Marsh. The grass is always greener on the other side! 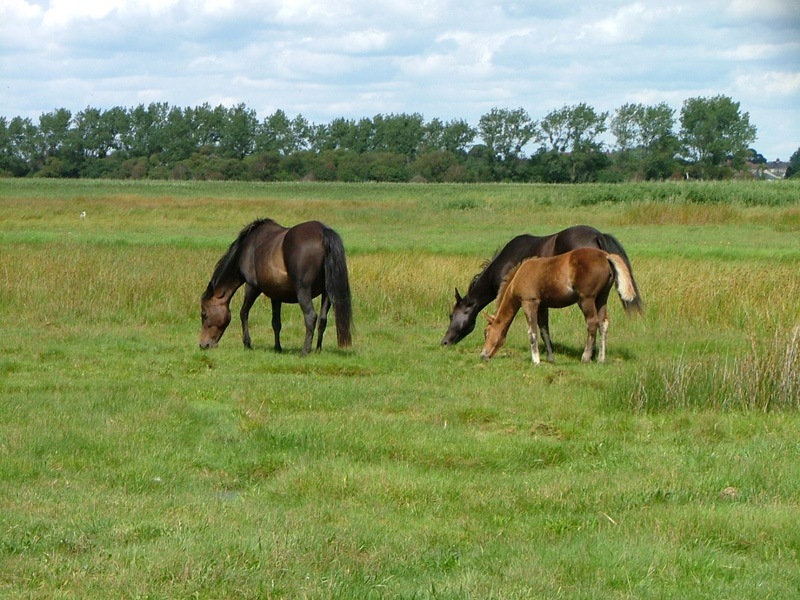 Horses are brought on the Marsh and can be seen all year round. Foals are wonderful to see and come in close contact with during summer. 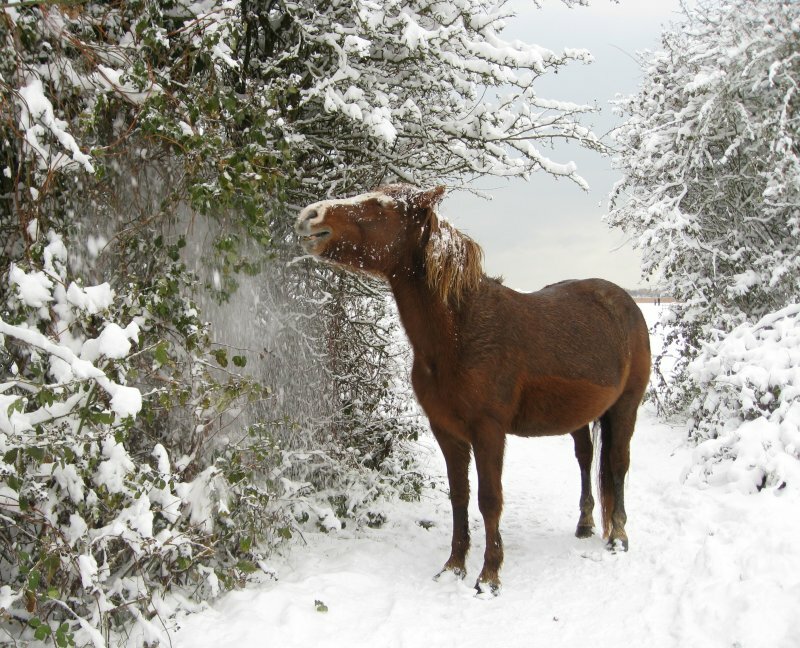 Ponies eat a variety of plants and shrubs, and will even choose holly or gorse - particularly when other plants are unavailable; when the marsh is covered in snow, or flooded. They have particularly strong lips and mouths to withstand the sharp prickles! 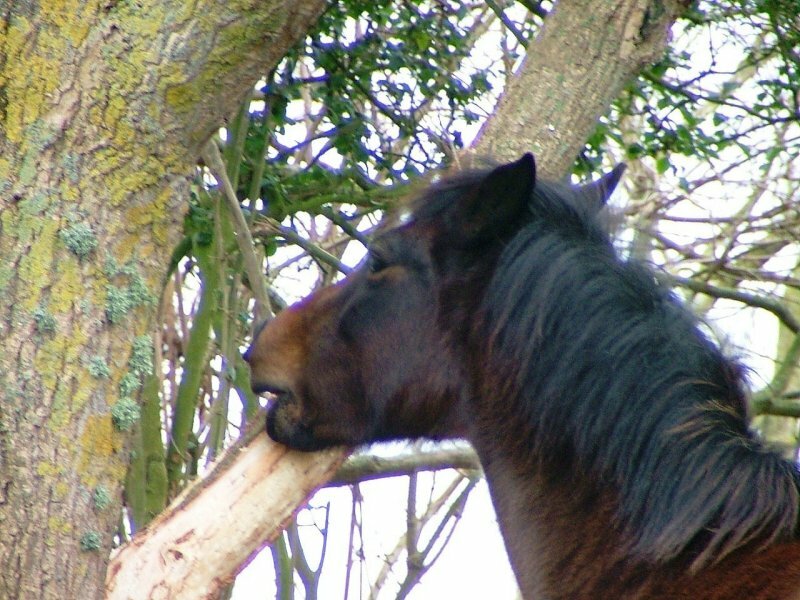 There are many trees in North Scrubs that have been nibbled by the ponies. This is known as 'cribbing' and several reasons have been put forward as to why they do it. Boredom of eating the same foods is another - although with the variety of plants on the marsh, it is difficult to believe either could be the case here? Are there moles on the marsh? These mounds were spotted in North Scrubs on some higher ground, but surely the rest of the marsh would be too wet? 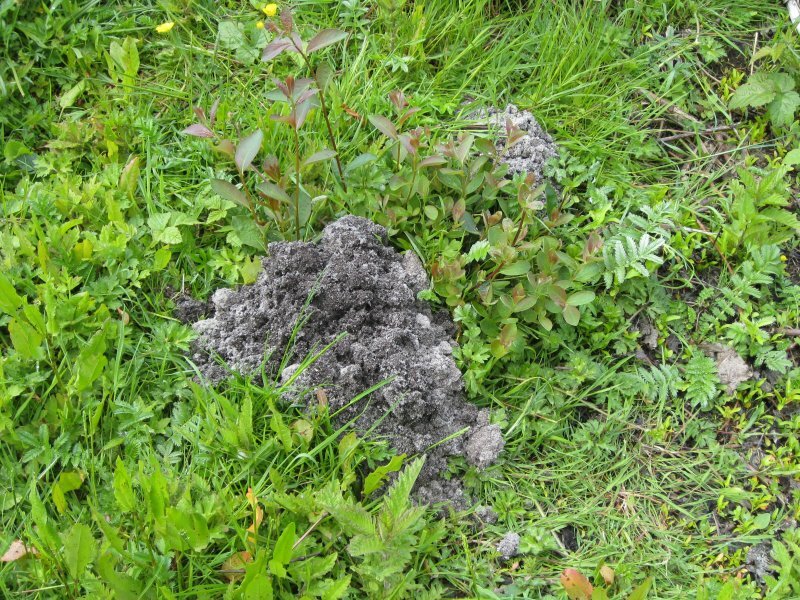 In 2004 Otter spraint (droppings) was found on the Marsh. Then for a few years there was no sign of any, until the end of April 2013 when fresh spraint was once again found - Otters are back. 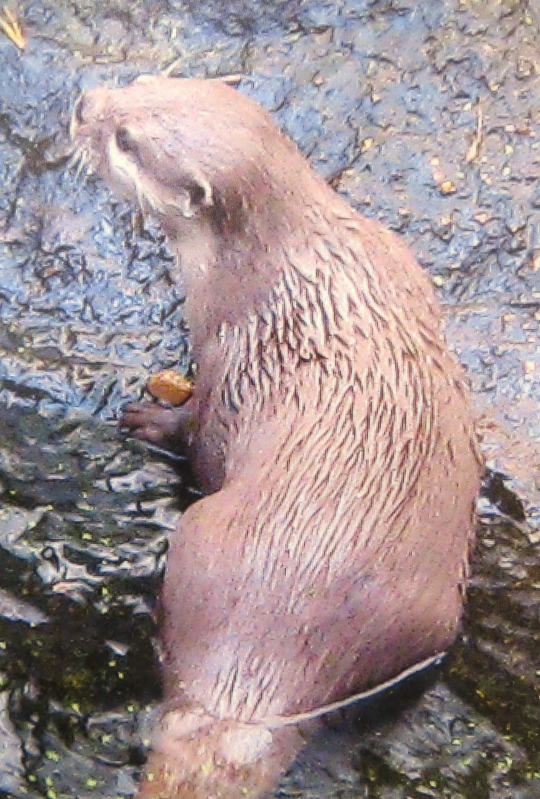 There are several species of Otter, but the European or Eurasian Otter is the one that frequents British rivers. Otter spraint (droppings): Black, tarry and slimy, and containing fish bones. It has a strong oily smell. With age it becomes dry, grey and crumbly. Otters leave their spraint on rocks or logs along their route as a form of communication to other otters. They play more than most wild animals, chasing, tossing and diving for stones, or diving with live prey. They often create mud slides where they enter the water, often used for play. Although their spraint has been found on the Marsh, Otters are very elusive and rarely seen. 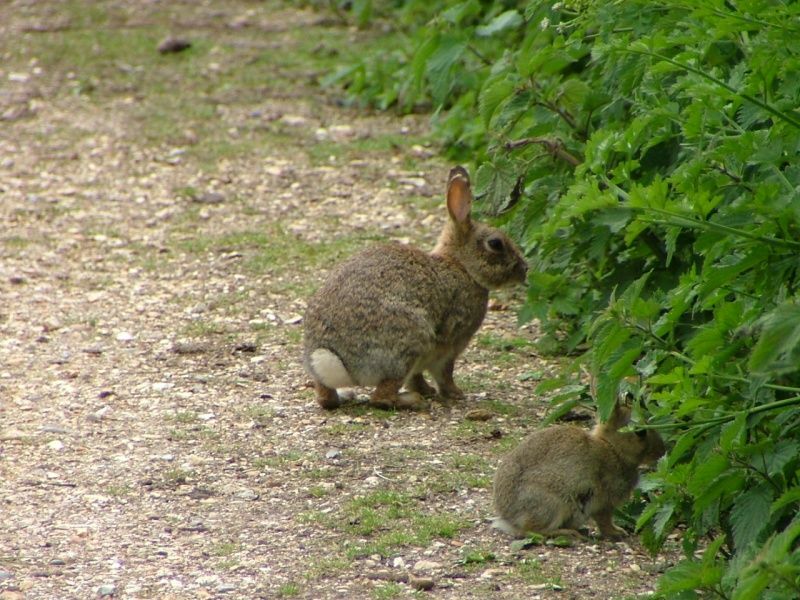 It could be said that rabbits are important on the Marsh. Their grazing, particularly in areas such as Crouch Hill and North Scubs, helps keep the turf low, allowing smaller plants to survive. The Shelduck is also grateful for their existance, for they nest in their burrows, and raise young most years on the Marsh. The reason there is hardly any difference in colour between the sexes of Shelduck is due to the fact that the female doesn't have to conceal herself from being visible to predators. Rabbit burrows are also ideal hibernation sites for toads, snakes, and lizards. 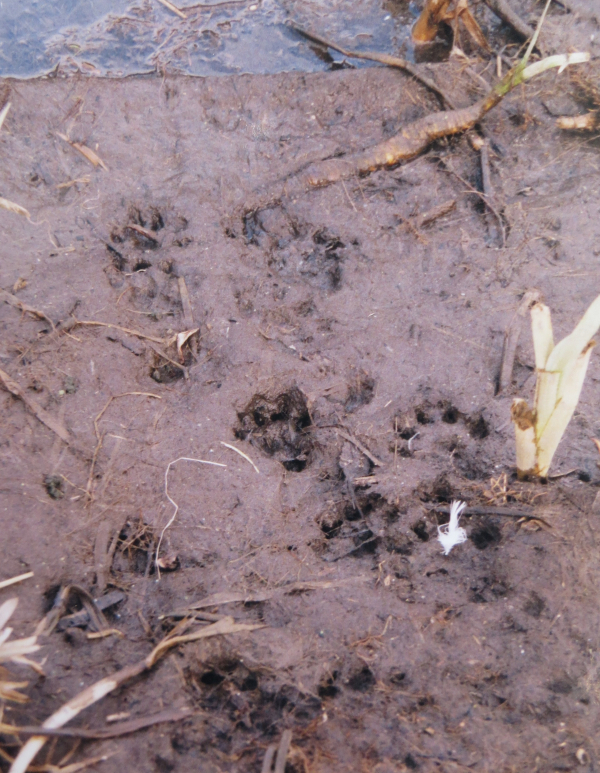 The last authenticated sighting of a Water vole on the Marsh was in August 2007. However, since then, there have been various reports of possible sightings near Bailey bridge and in the Purewell stream area. 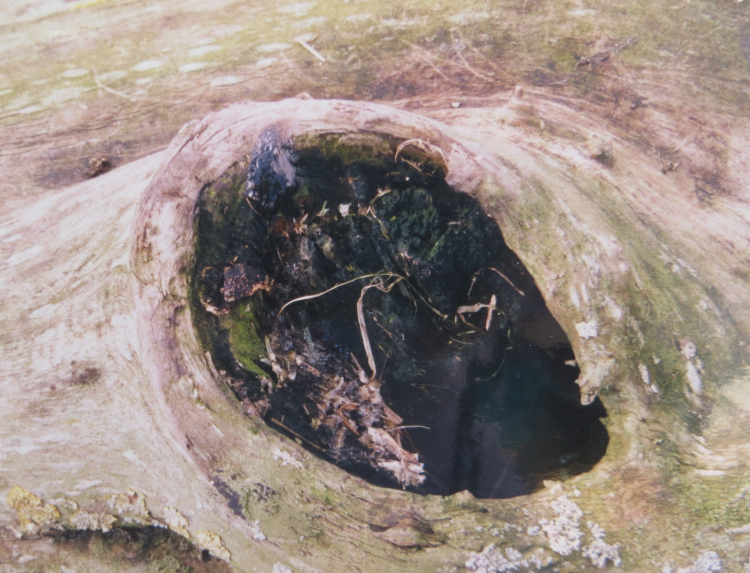 A survey carried out by Dorset Wildlife in 2010 on Priory Marsh, before the ditch restoration, produced no evidence of the presence of these animals and a further study around Tutton's well also drew a blank. Water voles are known to be present at various sites along the rivers Stour and Avon, where 300 were released in 2011 and 2012. It is possible that some may have recently found there way to the Marsh and might be part of an ongoing local resident population. We would be pleased to know if anyone thinks they might have seen one. They are shy animals but active during the day and differ from Brown rats, which they resemble in some ways, in having a rounder face, smaller furry ears and shorter tail. . When the marsh and surrounding area was originally purchased from Gordon Selfridge in 1930, a restrictive covenant stated that Christchurch Corporation should support and maintain the land for public open space, for public recreation, and playing fields or similar. It also included the proviso – ‘provided that this restriction shall not be deemed in any way to prohibit the land from being used for agricultural purposes….’. 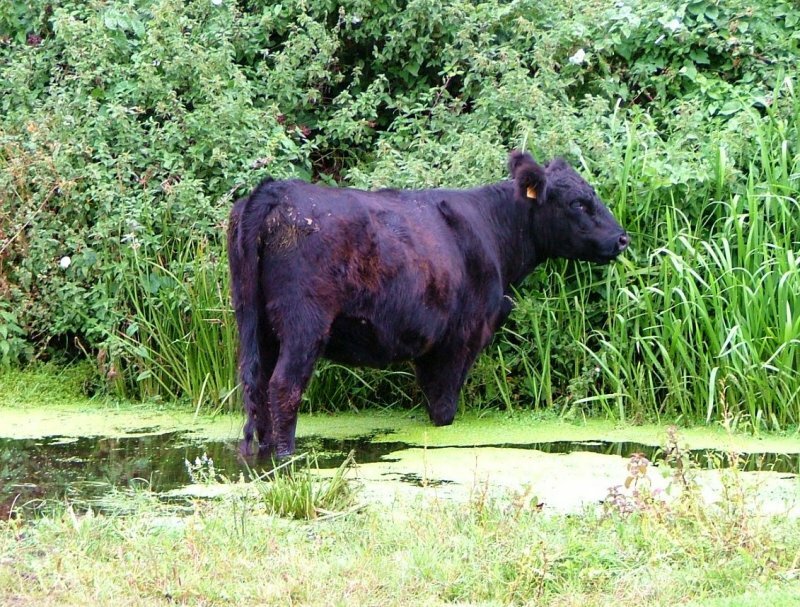 This latter clause protected the right of the owner of Somerford Farm, then situated in the Mudeford Woods area – to turn out ‘for 8 weeks yearly from the 12th day of May – 3 cows or 6 heifers or 12 yearlings on to that part of the property known as Grimbury Marsh’. 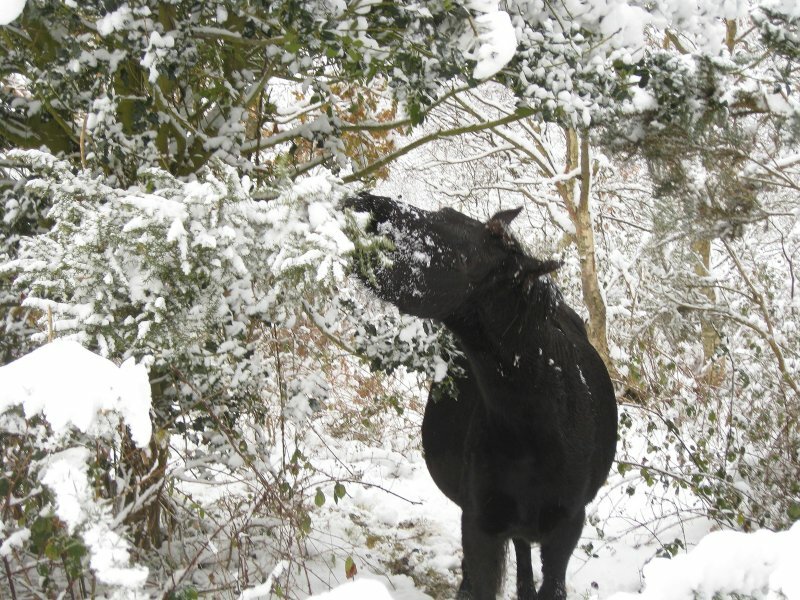 When the marsh was declared a Nature Reserve in 1964, grazing was considered a vital factor in management, and therefore many studies were made to monitor the effects of the numbers of horses put out to graze. During this time, no limit was set, and numbers fluctuated greatly. 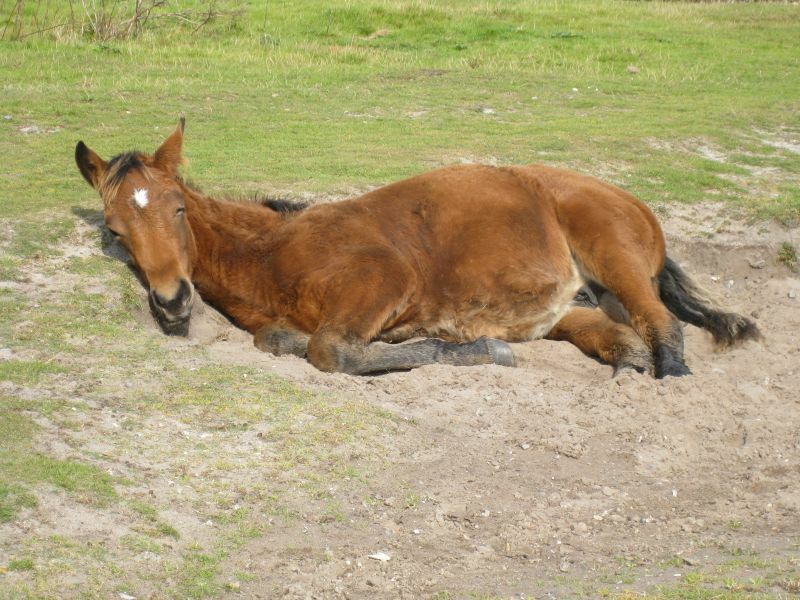 During the 70’s donkeys also appeared on the marsh and in 1975 the number of horses totalled 120! 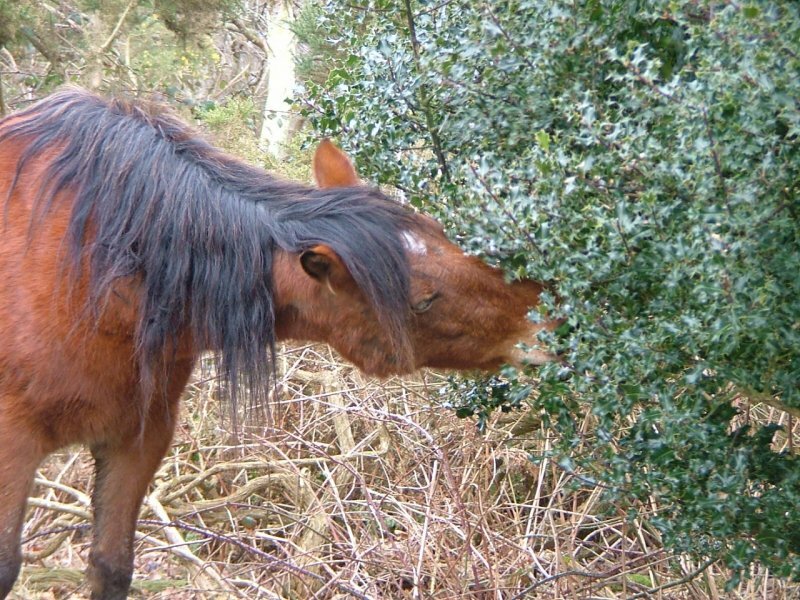 This clearly presented severe over-grazing and a written agreement was eventually reached in September 1976 for 70 horses. Further studies showed, however, that even this number was causing serious damage, but it wasn’t till several years later that the present-day figures were agreed. That is 10 horses from October to March, and 20 horses plus foals from April to September, plus 10 cattle. However, even today there is a difference of opinion expressed by those concerned with management of the marsh. On the one hand there are those who wish to see a stronger growth of flowers and plants, whereas botanists point out that under-grazing would allow stronger plants to suffocate the smaller, and sometimes rarer, ones. It is also argued that trampling livestock may be responsible for the lack of nesting waders on the marsh. 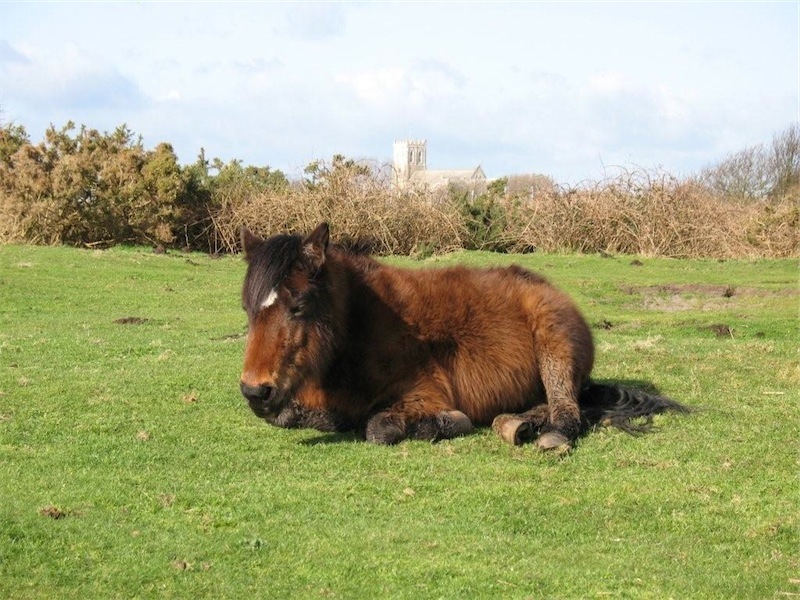 There are also those who just enjoy walking the marsh for its serenity – enjoying the sight of the roaming ponies. 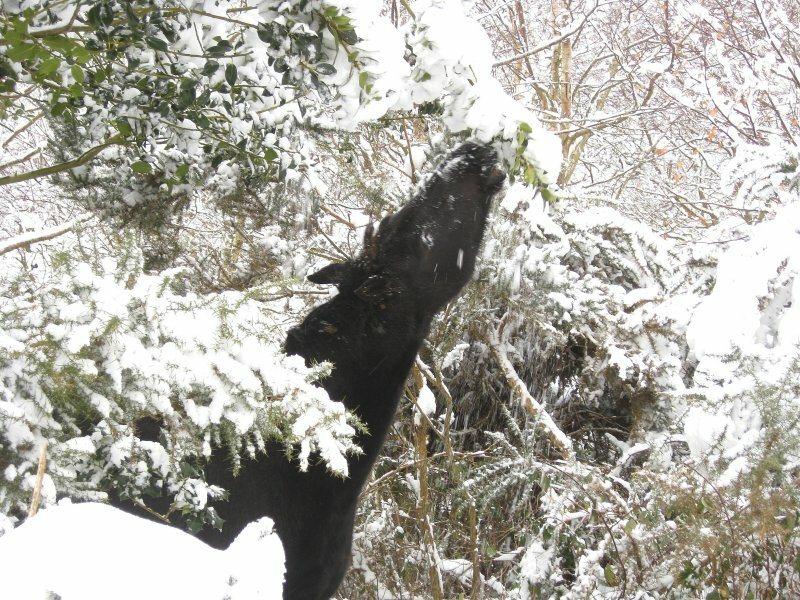 So grazing is a complex issue. 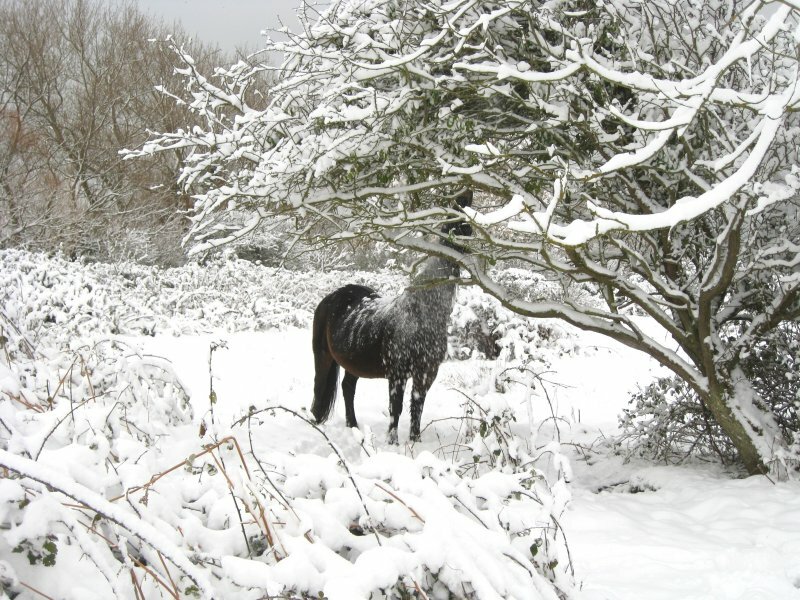 Ponies on the marsh today are owned by a local person, and originate from the New Forest. 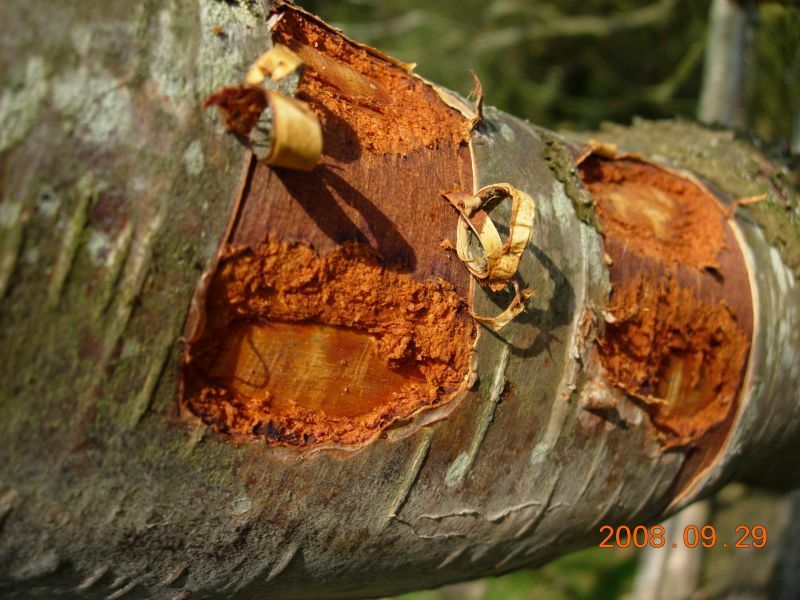 For more information contact Christchurch Council Countryside Services.